Nokia do not produce an iSync plugin for the C2-01, fortunately other folks do. Thanks Apropostech! 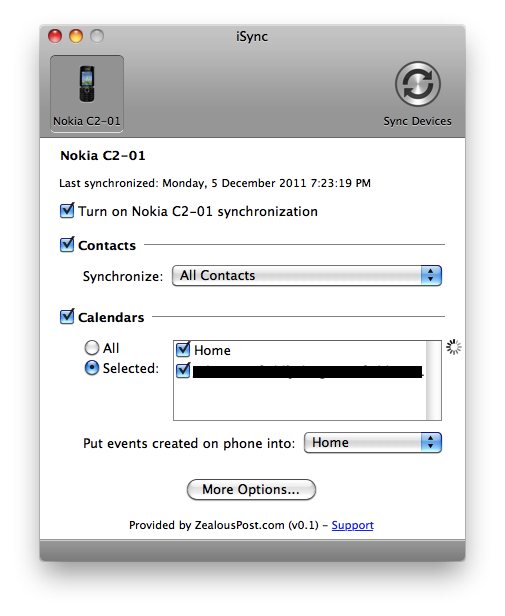 After you pair the phone and your Mac, add a new device to iSync and it'll find the phone, then you can sync in the usual manner. Now if only I can find how to sync from the phone direct to the Google Calendar, which is greyed out.